The concept of a hockey ‘pyramid’ is predicated on the notion that at the base of the pyramid are the beginners of the sport, such as house league, while the absolute best players, such as the NHL, represent the top of the pyramid. Moving up through the pyramid, there are fewer players at each level, but the quality of play accelerates. helping to control the economic value of play and schedule demands for youth hockey players and their families. Over the course of many seasons in the TAHA region (Texas and Oklahoma), the hockey pyramid had shifted with more youth players participating at the travel level than were playing in the house leagues -- clearly an unsustainable situation. Not only were travel teams becoming uncompetitive, but players who were not ready for travel hockey were being recruited to fill roster spots and pay higher fees only to spend far too much time sitting the bench during games. The pipeline of potential travel players was quickly drying up as the house leagues became smaller and smaller. Following in the footsteps of TAHA’s streamlining of Tier I hockey in the region, the DSTHL took initial steps to reduce the number of “AA” Tier II teams while allowing the market to catch up in attracting and developing new players. With the full support of the Dallas Stars, the DSTHL worked towards ‘righting the pyramid’ in the TAHA region. The reduction in Tier II teams meant that more youth were able to play locally, either at a lower travel level or in the house leagues where their playing time increased (and their costs were less) thereby accelerating their development. Well into its sixth season of operation, the DSTHL has achieved the point where little-to-no more reduction will be required. The quality of teams continues to improve and the ever-growing house leagues are once again a true part of the developmental pyramid. Through collaborative efforts with the Dallas Stars, TAHA is now among the leaders in the nation in the growth of USA Hockey registrations at the 8U age level. 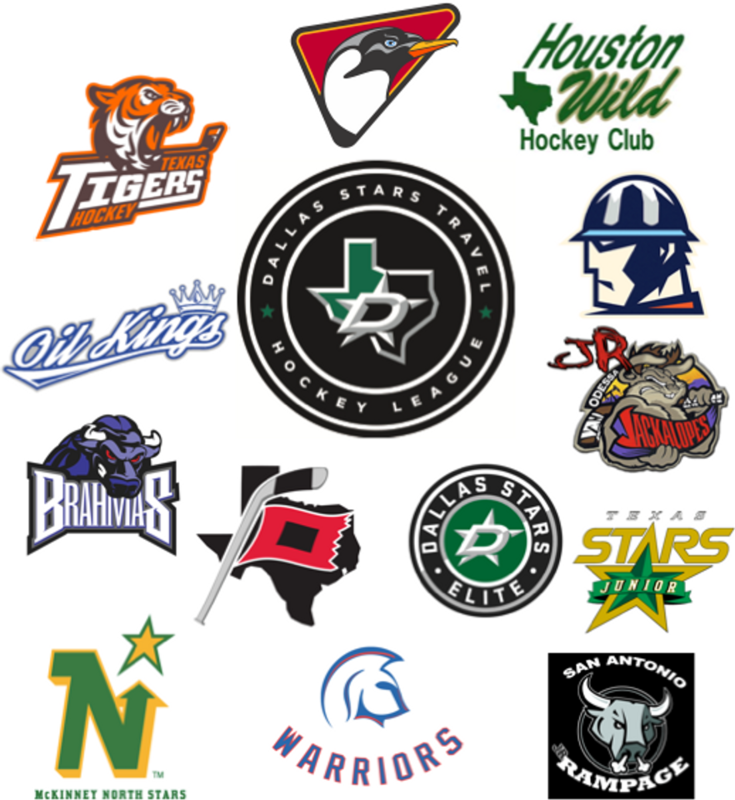 The DSTHL is represented by a volunteer Board (comprised of individuals from both DFW and non-DFW hockey communities) that handles the day-to-day operations, together with a Hockey Operations committee (comprised of coaches) to assist with the hockey-pure decisions. Through the strength of its Board members and Hockey Operations committee, the DSTHL continues to make technological advances and improve upon the logistics of administering 85+ teams throughout the TAHA region. Moving forward, the DSTHL will continue to adapt to the market while steadfastly encouraging and supporting the proper proportions for the pyramid structure of travel hockey. With more facilities being built and the base of the pyramid continuing to grow, the DSTHL awaits seasons when travel hockey is able to expand in the TAHA region while still maintaining the quality of play that the DSTHL’s current membership embodies.